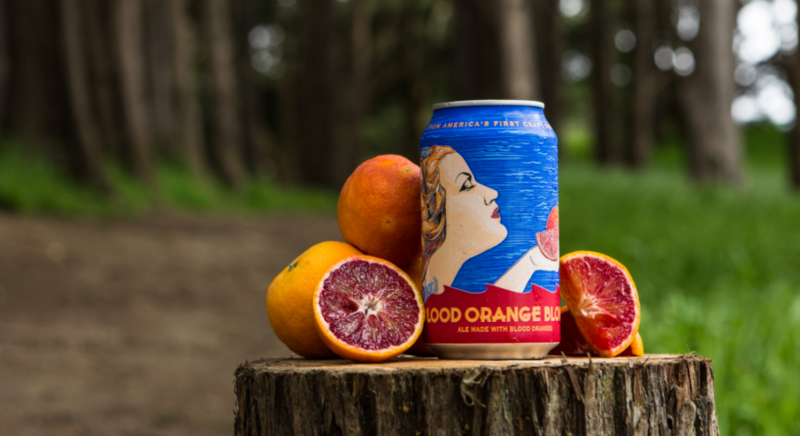 We’re thrilled to announce our third release in the Pacific Siren Series, Blood Orange Blonde– a refreshingly unique blonde ale made with juicy and tart blood oranges. Blood Orange Blonde has the delectable taste of the blood orange. The fruit is deep crimson in color with enticingly rich aroma and tangy-sweet juiciness which provides a distinctive twist to this blonde ale. Its taste combines the succulent complexity of blood oranges with a mild hop bitterness, subtle malty sweetness, and a long, dry finish. Blood Orange Blonde joins Mango Wheat and Meyer Lemon Lager as the third addition to the Pacific Siren Series which debuted in 2016. Lured by the siren’s song, Anchor’s first brewmaster, Gottlieb Brekle, journeyed from Germany for the goldfields of California. Instead, he found his El Dorado in San Francisco, brewing beer for thirsty miners. The brewery that Brekle built on a street called Pacific, less than a mile from the San Francisco Bay, became Anchor Brewing. His odyssey and the mythic sirens of the Pacific is the inspiration for this series of brews. 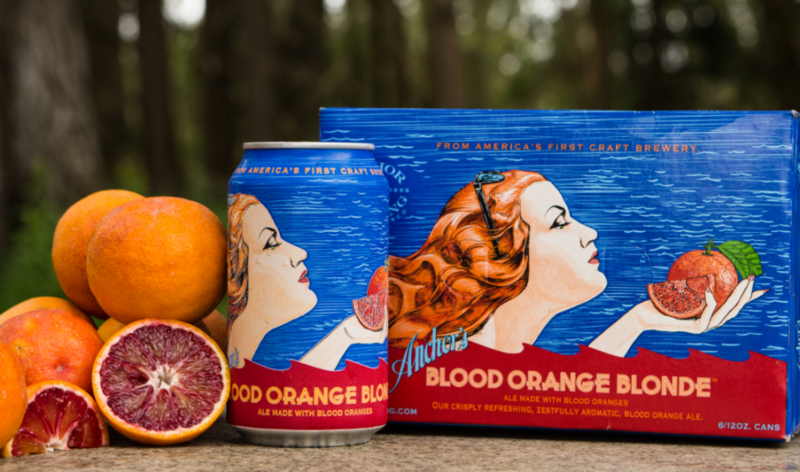 The eye-catching packaging artwork for Blood Orange Blonde stays true to its Pacific Siren Series counterparts, donning an illustrated siren inspired by a 75-year-old California fruit crate label. Fruit-crate labels have a long and colorful history in California dating to the late nineteenth century. Most such agricultural art features enticingly succulent fruit and an idealized pastoral landscape. Anchor’s Pacific Siren Series labels however—as unique as the beers themselves—feature a stunning siren. Blood Orange Blonde is available nationwide starting in May 2017 in 12 oz. cans and on draught at select bars, restaurants, and stores as well as at the Anchor Brewing Taproom and Anchor Beer Garden at The Yard in San Francisco. You can find a brew near you by using the Anchor Beer Finder.